When you take on escalator in Japan, you can see polite people in a row. They stand on the left side, nobody stands on the right side. No exception! Everybody seems to be shipshape. 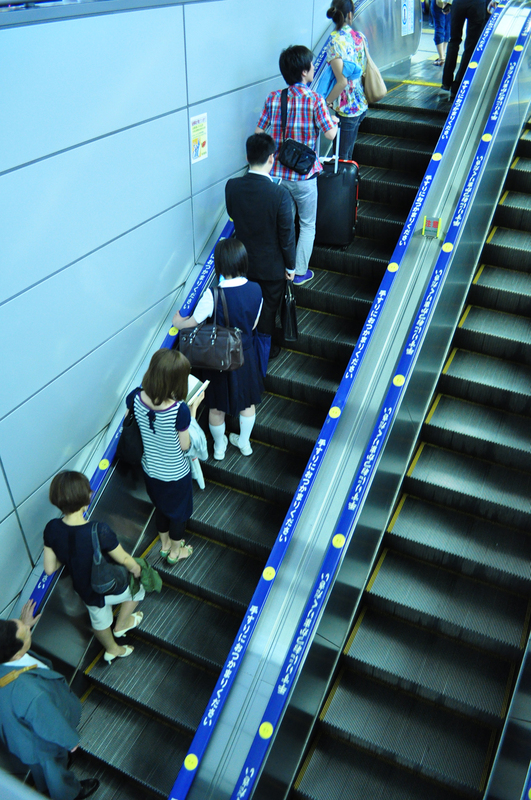 In Japan, people leave one side on escalator for those in a hurry. So, you should know “Stand on the left, walk on the right” in Tokyo. Curiously, in Tokyo, they stand on the left side. On the other hand, in Osaka, they stand on the right side. Maybe you think “This is a diffrence of customary between Kanto(関東) and Kansai(関西)”. But this idea is WRONG. In Kyoto(Of course, Kyoto is placed in Kansai), the open side is inconstant. Some people stand on the left, other people stand on the right in Kyoto. Maybe they stand on a whim. 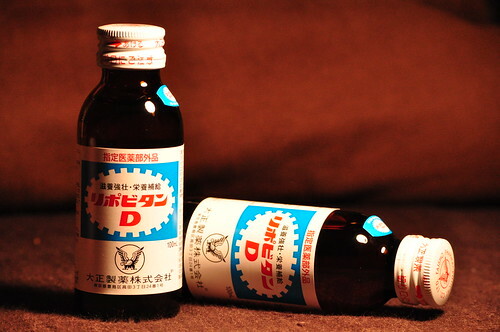 “Lipovitan D” is an energy drink manufactured by Taisho Seiyaku. All Japanese are familiar with this drink as its TV commercial. Two muscle guys try physical challenge, such as climbing mountain. They shout “ファイト! 一発! (Fight! Ippatsu! )” — this is a catch frase of Lipovitan D. “Ippatsu!” is very diffcult to translate in English… it means “Let’s go!” or “Now!” or “Come on!”. When you come to Japan, buy Lipovitan D and try to say “Fight! Ippatsu!”.